X-T2 Mirrorless Digital Camera with 18-55mm Lens is rated 4.8 out of 5 by 402. 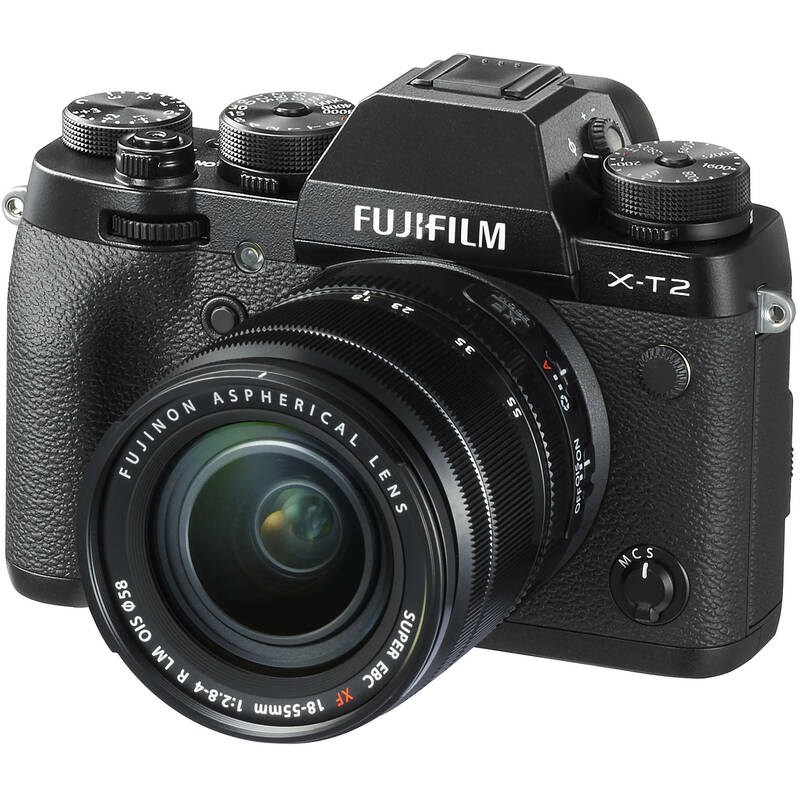 Is the kit lens for Fuji x-t2 also weather resistant? This lens is not weather sealed. If I ship this to South Africa will I need to buy a plug adapter/voltage adapter or will you be able to ship me the battery charger for my country? As B&amp;H is located in the United States and the items we carry are designed for distribution within the United States, we do not have a battery charger designed for the plug connection used in South Africa. As such, you would have to purchase a plug adapter to convert the USA plug to the Type M plug used in South Africa, such as the Watson Adapter Plug - 3-Prong USA to 3-Prong (Type M, BS 546), B&amp;H # WAAPGUSASA. The Fujifilm BC-W126 Battery Charger is compatible with AC 100V - 240V 50Hz / 60Hz, so you will only need a plug adapter to use the camera in your country. Do you have an actual delivery date or is August a guesstimate ??? Please email us at sales@&lt;a href= http://bhphoto.com target= _blank &gt;bhphoto.com&lt;/a&gt; for assistance with your inquiry. Is it ever going to be in stock. I ordered two months ago. Please contact our Customer Service Department CS@bhphoto.com for ordered related questions. Which remote shutter releases are compatible with the xt-2? When recording 4K with the battery grip does the camera make 30 video minute files above 4GB as a single file? It is our understanding that this camera will always record in 4GB file sizes. The use of an NLE editing system for importing the video will handle these separate files without issue.